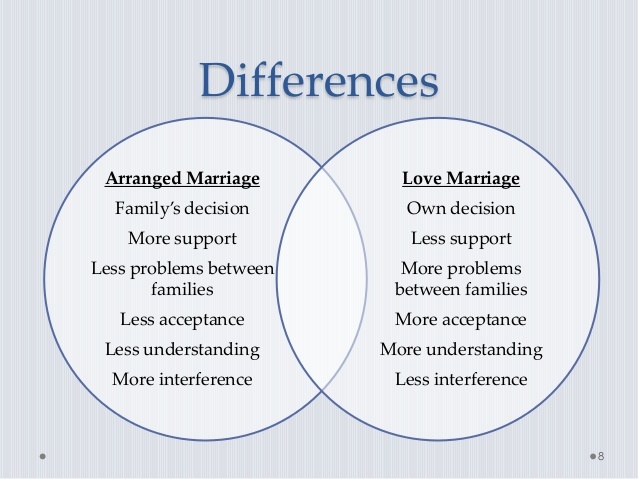 Some says it is best to get in love and understand each other hence love marriage is better than arrange marriage while others believe arrange marriages are best ever as there would be parents’ consent and more successful. I believe both are good in certain situations as the main point is mutual understanding strengthened with trust, care and love. In love relationship, both individuals are aware of their choices and mutually know each other and compromises are less as they are already comfortable with each other. 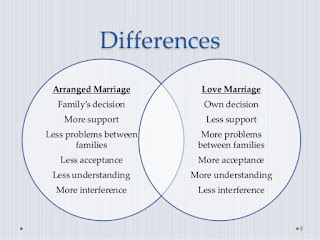 In case of arrange marriage, two families involved to know each other well and the couple make a bit to compromise and take time between engagement and marriage to get to understand each other. During this time, they develop love affair and forms understanding levels. So marriages like 2 sides of a coin that have both pros and cons, there should be exist love and respect with each other before the sacred bond of marriage for a long lasting relationship.